Dr. Sy Majidi loves helping children have a healthy smile. Your child is in good hands with Dr. Majidi’s extensive education background. 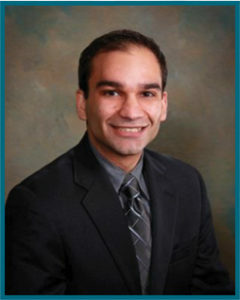 A graduate of the University of Maryland, Dr. Majidi furthered his studies at the Jacobi Medical Center and St. Barnabas Hospital in New York City. For more than 10 years, Dr. Sy has been treating children at numerous hospitals including Holy Cross Hospital and Children’s National Medical Center among others. Dr. Majidi is a Diplomate of the American Board of Pediatric Dentistry, a member of the American Academy of Pediatric Dentistry, and the American Academy of Pediatrics. In addition, he enjoys doing volunteer work including participating with the Somos Amigos Medical Missions to the Dominican Republic, an organization he has been involved with since 2005. To use CAPTCHA, you need Really Simple CAPTCHA plugin installed. Please leave this field empty. Washington DC Pediatric Dentist | Say Cheese! 20003 Pediatric Dentist | Say Cheese! 20003 Pediatric Dentist | Can Teething Affect More Than My Child’s Mouth? Please leave this field empty. To use CAPTCHA, you need Really Simple CAPTCHA plugin installed.